Figuring out your pricing strategy for online personal training can be challenging, so in this article (and video) we look at some of the most important factors to consider as well as providing some tips and strategies for deciding what to charge. Looking back on the past 6 years of my own online personal training business, possibly the most difficult and important decisions centered around pricing. How should you price your product? What if the price is too high? What if it’s too low? Should you offer discounts? Most online personal trainers err on the side I did in those early days: Underpricing. Why? Because we lack confidence that our product deserves to be sold. We fear that we won’t sell anything at all. And we desire to have masses buy our product as affirmation. The truth is that this approach is all wrong. The price you set will attract a certain type of audience. If you price too low, any discounting will devalue your product — and brand — even further. I did it, too. I can see that now. Despite the warnings of peers and mentors, I still did it. This article details what I’ve learned about pricing and discounts as an online personal trainer, and after helping hundreds of other online personal trainers. I've had multiple online trainers now inside of the Masterclass message me and say, 'Ru, what should I charge?' , and I suspect they literally want an answer from me to say charge exactly this. And yes, we can definitely hash out some finer details about the value of your online offer, but ultimately the pricing that you charge is up to you. It's a personal choice what you do. That being said that's easier said than done. It's easier just to go 'okay, we're going to pluck a number out of the air' - so I'm going to give you some finer tips and strategies to really understand pricing and hopefully be able to refine your choices and options that you give results as well. Before digging in, as a valued reader of the blog, I’d like to extend you an invitation to my upcoming and totally free online training workshop - ‘How to Confidently Create and Grow Your Online Fitness Business’. This workshop is for you if you want to finally create a plan that will produce real results to get you in front of your target market online and create more meaning by having the opportunity to impact more people with your expertise. This workshop is our most complete training on how to become an online personal trainer. All you need to do to attend is click here to register your free spot. I’ve learned countless lessons since my online journey began, but one of the most important is this: Monthly recurring revenue is king. The typical online fitness product is sold as a one-off transaction. You give a business $100, and they give you the product. The transaction is complete. If your business utilizes monthly recurring revenue (MRR), the customer enjoys your product or services for as long as they continue to pay. The transaction continues forever — or until they decide they no longer want to pay. Your utilities would be an example of this. You’re going to keep paying that fee every month so that you continue to get water and electricity in your home. What recurring income really means is it's the process of getting the same online clients to essentially pay you again and again, ideally for the same online service. 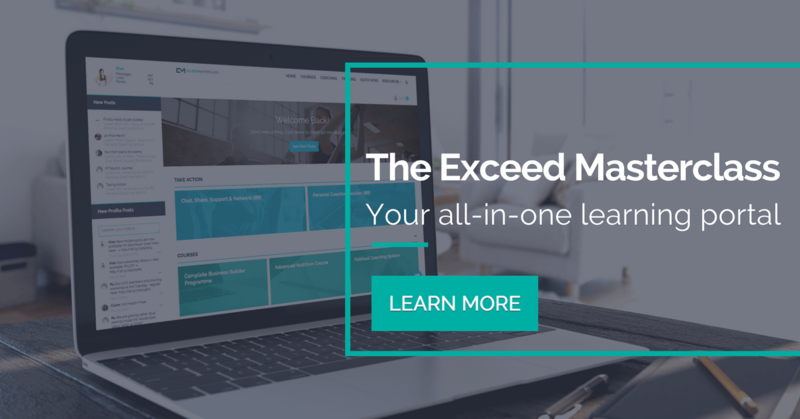 For example, you can join my Exceed Maste﻿﻿﻿﻿rclass on a month-by-month basis. You can basically then stay for as long as you like. So that's a form of recurring income. And when you do this you go from customers to clients. And the difference between customers and clients, customers only pay you once, a client keeps paying you. And that's why I always see everyone apart of the Masterclass as clients. It's easy when just starting out with online personal training to just charge someone a one-off one time payment or something really cheap - I recommend you don't do this. That's not going to work for you long term. My advice is always the same if you're setting up an online personal training program or service - don't sell cheap one-time products or services - it's time to think bigger, and that's harnessing the power of regular, recurring income. I think that may be one of the most important points around pricing that I can ever give you. However, working out your pricing sweet spot, even for recurring income, is difficult. There's a number of ways that you can really think about how you price your product or services. So the first one then is to look at what your competitors are charging and how your product or your service compares. Have a look at where you are in comparison to them. This is certainly what I did when I was first getting started with offering online personal training. I had a good look at some of the popular online fitness coaches in my niche, people I could see who were very active and had clients. I was able to have a look at their pricing structures and what they offered as well. And it's actually funny, now that I think about it, the popular coaches that are still successful many, many years on, are actually those who harnessed recurring income with their online personal training clients. They weren't selling one-off nutrition or training plans. Instead, they were offering monthly coaching that was maybe lasting 3-4 months minimum and some even pushed into the six and 12 months. When I first started online personal training I offered a very cheap rate of around £20 a month. Yep, just £20 a month, but I made it a 12 month minimum term. So this was fantastic for me too. Yes, it was only £20 into my bank account that month (I told you a under priced my own services initially), but I knew that for the next 12 months I was going to see that 20 pounds from that same client. Then you go out and get your second client, third client, fourth client and so on - you can see how that recurring income works so well, to help you create a stable, reliable income for you. I was then able to slowly increase my prices, and it's easier to increase your price as it is to decrease it. With time I found my own personal pricing sweet spot. If you want more help with planning and researching for your online personal training, check out our article 'How to Become an Online Personal Trainer'. Another consideration is the end result that you will deliver for your client. What are they going to look like, feel like, and what are they going to see as the end result? How much value can you actually put on that? Yes, we might be a little bit biased to the results that we can get and the value that we offer, but ultimately have a think about it what might mean to your online client or your customer. Another good one that that could seem a bit strange, is to actually survey your audience and see what price range they would be willing to pay for. (I use SurveyMonkey for doing this). Seems a little bit weird, but I’ve seen some of the biggest online personal training companies do this. We think if you ask someone how much they'd like to pay, they would likely suggest something way too cheap. But funnily enough, that's not always the case and you can get some nice price ranges that people will fall in. If you can survey a sufficient number of people you will get a nice average that people have went for. This could be a good starting place if you're totally unsure of what price to set for your online personal training. Another option is to think about where you want to position yourself in the marketplace. Are you hoping to reach as many people as possible? If so, then you want to have a cheaper online program or personal training service. If you want to only work with a limited number of clients, very hands on and personal, then of course you want to push that price up and have an exclusive high-end option. Another important factor worth considering is how much one to one or support will you offer. You can typically charge higher monthly recurring fees if your online personal training includes hands on support, personal check-ins or bespoke updates. Anytime an online personal trainer says, 'yes I'm going to offer Skype calls, e-mail access and weekly updates' , that really should be a high end offer and should be charged at a premium price. No question about it. Do not under value your own personal time if you offer it to clients. Another tip for figuring out your pricing, is to know your numbers. In particular, you must know how many clients you can actually work with in your defined online business model – basically, you need to know how many online personal training clients you need to become oversubscribed. Decide how much you want to earn, and determine the fees needed to actually achieve that. So if you want to make a thousand pounds a month online from your coaching or your program and have a capacity to serve 50 clients, you need to charge 20 dollars a month. So you can also reverse this to see how many actual clients that you need. If you want to charge twenty dollars per month and earn 2000 dollars every month, you will need 100 members. 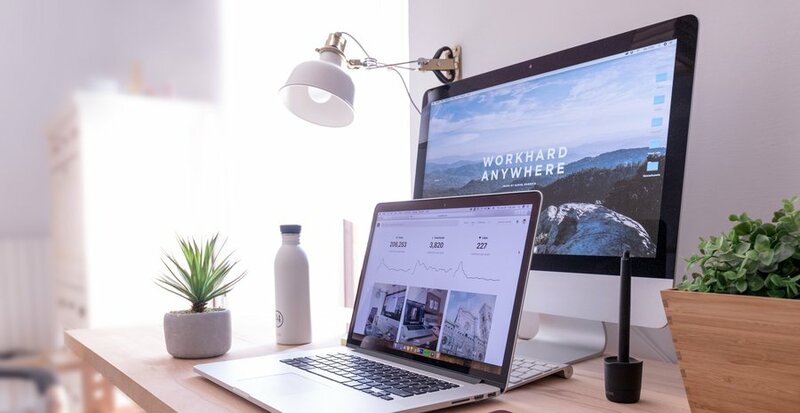 You can work either way and that's probably one of the best ways to do it depending on whether you are seeing the dollar sign first or you think you need a certain amount of people to really get the online program or the service working for you. If you offer the cheapest price, you will attract the cheapest client. In other words, offering the cheapest price online often attracts people who are shopping based on price — or primarily on price. And guess what? They often have the most unrealistic expectations for the money they spend. This can happen in any health and fitness niche, so if you’re attracting the wrong type of online client, think about how your pricing might be causing that. This is a simple yet important point to consider. Before pricing a product or service, think about the costs associated with producing or delivering it. When measuring costs, think of time and resources. Think about customer service and maintenance. And please, I beg you: Do not undervalue your time. Another question I get often is around free trials, free consultations, and free programs for online personal training. There's a lot of pros and cons to trials. I've tested all of this stuff over the years. When potential clients are considering whether to join your online coaching or program, they have a great number of questions going through their mind at this time. Anyone joining your online personal training program is taking a risk - unless they really know, like and trust you. Trials are a great method of risk reversal that helps you to address potential client concerns that could be getting in the way for them and stopping them from buying. The most important thing is that a trial gets people into your program and gives you an opportunity to prove why your program is the one that they need to remain apart of. There are times when discounting makes sense. If you are taking pre-orders to gauge interest in a product, discounts make sense. If you are starting a community from scratch and volume matters, early discounts make sense. But if you discount, do so off of a regular price on the high side — not from one that is already underpriced. If you offer a discount, your sales will go up. That volume can be intoxicating. But there are dangers beneath those numbers. Remember that the increase is at least partially due to people who didn’t think your product was worth buying at the regular price. They are buying the discount as much as they are buying your product. I’ve found that customers who buy at a discounted price are more likely to want a refund. And if they sign up for a membership at a discounted rate, they are more likely to cancel within one month. The biggest trapping of all is the discount cycle. There was a time when I always needed a different promotion. How would I get sales this month? How will I beat last month’s numbers? I need to offer a special deal! As a result, you’re constantly offering a sale on something. And after a while, it just becomes used car salesman noise. 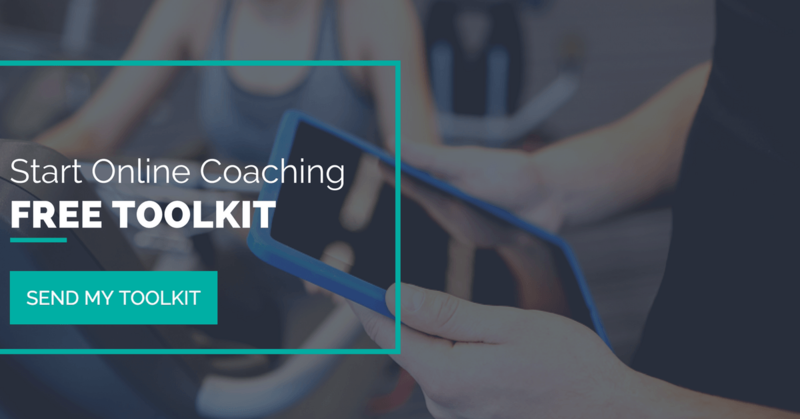 Ready to learn more about online personal training? Best part? It costs you nothing. This is your official invite - all you need to do to attend is click here to register. This workshop is for you if you want to finally create a plan that will produce real results to get you in front of your target market online and create more meaning by having the opportunity to impact more people with your expertise. Join me and I’ll walk you through the exact steps you need to take in order to get started with online personal training and my proven strategies on how to be an online personal trainer.